TeamEverest is an interactive multimedia conference program that immerses participants in the true experiences of mountain climbers who have tested themselves in the highest and wildest places on the planet. TeamEverest provides a compelling experience of what individuals and organizations can gain by facing daunting challenges together – finding themselves reaching beyond their limitations to achieve what they thought was impossible. The key to TeamEverest is that while participants are having a good time and being spirited away on an exciting adventure they are actually working towards creating a more adaptive organization. TeamEverest has been designed to work with organizational issues, to build greater collaboration and to improve alignment among individuals as they strive to reach common objectives. TeamEverest helps groups recognize and rise to a supreme challenge, thus supporting the creation of a dynamic unity based on deeply-held common values. The Everest story itself is a concrete and inspiring example of the genesis and application of the High Altitude Mindset. TeamEverest can be used as one of a set of strategic interventions to raise the performance of a whole organization. It is thematically and functionally congruent with the entire Heroic Hearts’ suite of offerings. 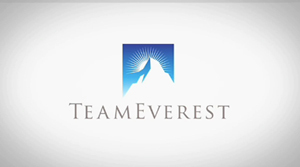 TeamEverest is also a fully-dimensioned standalone interactive event for groups ranging from twelve to one thousand. The program can be substantially customized to focus on the key emergent issues of your organization. Our unique Organizational Link puts your company’s important issues into a richly inspiring discovery context. Like the Heroic Hearts keynotes, TeamEverest will drive leadership messages deep into the organization in a way that is engaging, fun, and memorable.